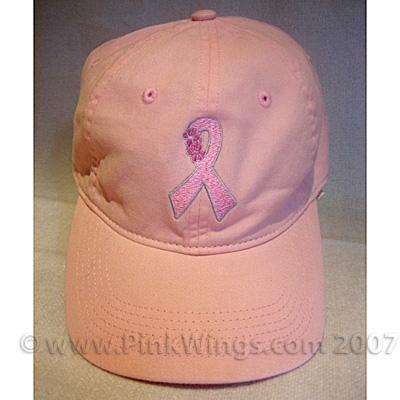 This is our "Pretty In Pink" pink ribbon on a lite pink baseball cap. One of our top sellers. 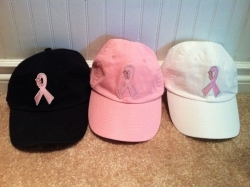 It is available in Pink with or without the word Survivor on the back. Black or White- hats are now sold out. Order yours today!